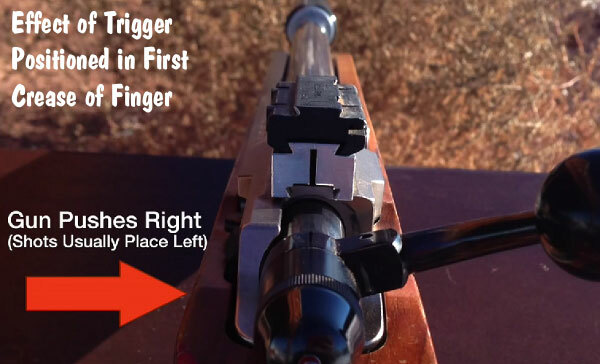 Great tip;one of the most ignored in precision shooting.Thanks! I know that you are an excellent shot but finger placement depends on trigger pull and I suspect that your rifle has a light trigger. Steve, how you figure that? I shoot a 4.8 lb Service Rifle trigger in the same place as a 100g Annie target trigger in the same place as a 2 lb Walker Remington. Last I checked, it was working fine. Making statements as broad as you do above…well, you’re almost bound to be wrong. 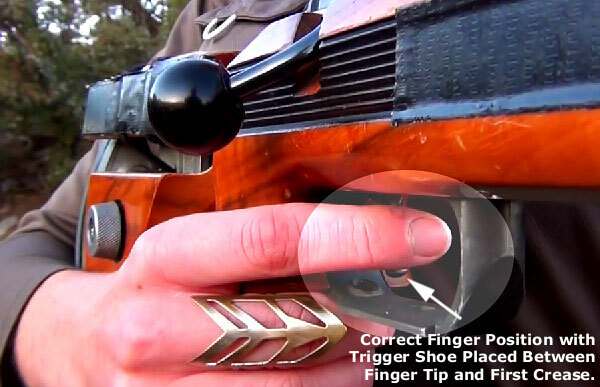 While watching a recent Gunwerks episode , televised this week , Kristen stated that she shot with a extremely “light” trigger pull on her competition rifle . So Steve wasn’t far off in his comment . What works for one person , doesn’t always work for everyone . And I personally agree with Kristen’s own statement in the same show , that trigger pull weight can affect finger placement on the trigger . And she suggested always working on proper placement , each and every time . Gene D, I don’t disagree that Kirsten’s trigger is probably very light. I have the same trigger. I don’t disagree with you or Kirsten that weight can affect placement. What I disagree with (and stated above) is a statement as definitive as Steve’s, on a site that is as widely read as this one. His statement is not always truth, but he wrote it as such.